» The LOWA Baffin Pro Review: Are These Boots Worth it? The LOWA Baffin Pro Review: Are These Boots Worth it? 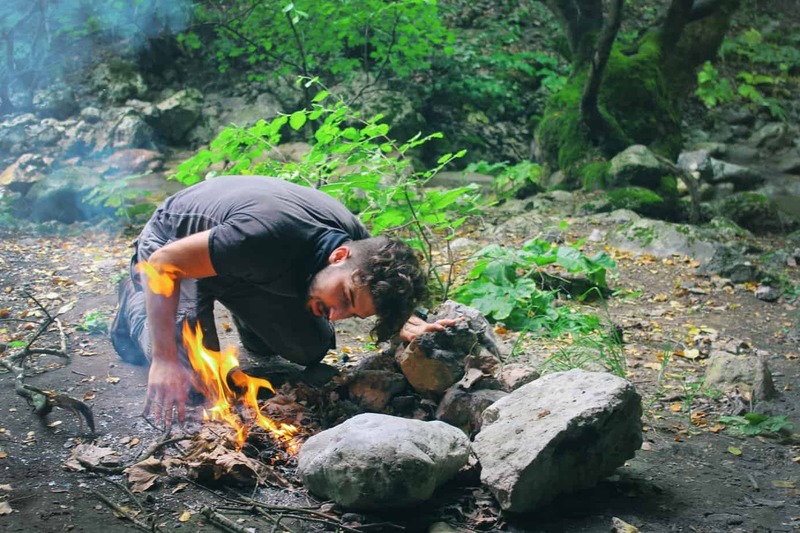 There are all sorts of hiking boots and footwear out there, and the ones that will be right for you will match up with where and how you’ll be hiking, including how long you’ll be out for, the conditions, climates, and how much weight you’ll be carrying on your back. While ultralight trail shoes have their place, you’ll need boots that are fit for steep inclines and rugged terrain if you’ll be heading out on more intense adventures while mountaineering. In this article, we’re going to talk about the comfortable boots LOWA Baffin Pro hiking boots. We’ll dive deep into their features, then discuss their fit and sizing; break-in period; how they should be worn; and care and maintenance tips. 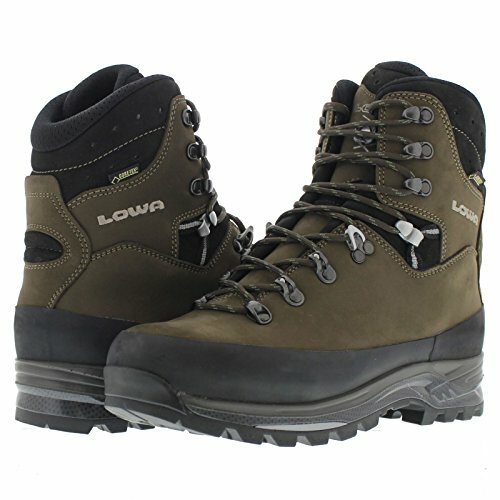 Note that there are the LOWA Baffin Pro boots, which are not available on the LOWA website any longer, as well as the newer version, the LOWA Baffin Pro LL II. 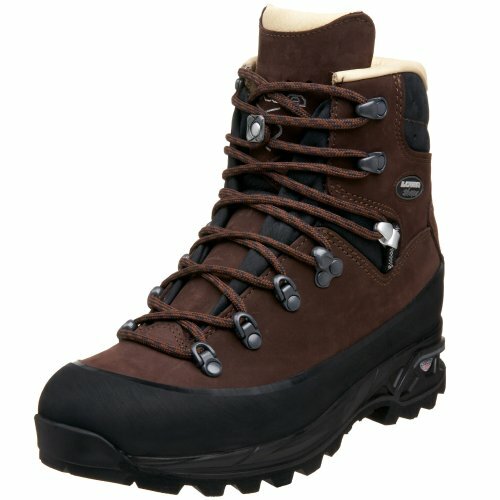 We did find the LOWA Baffin Pro women’s boot on Amazon, though the men’s boot seems to be unavailable most places. For the purposes of this article, we’re going to be talking about both versions of the boot (Baffin Pro and Pro LL II) interchangeably, as the features we’ll be discussing are identical. We’ll also notate when there’s a gender-specific feature. The Baffin Pro LL II for men can be found here and the Baffin Pro LL II for women can be found here. Since these boots are highly supportive and designed for backpacking or hiking through alpine or rocky terrain, they’re on the heavy side. They’re not a good option for light hiking or trail running. Also note that they’re not a good option for ice climbing, though they can handle some icy conditions on flatter trails. Full glove leather lining provides comfort and durability, and it also won’t wear out nearly as fast as fabric liner (though it does take a little more time to dry out when wet). The rigid DURAPU midsole offers comfort, support, and stability while reducing fatigue, and the footbed conforms to the foot, eliminates pressure points (and, in turn, blisters), and manages moisture. The 5mm polyurethane shank is for great stability even when going off-trail, and it provides plenty of stiffness when carrying a heavy pack. The shank is the part of the boot between the insole and the outsole, and it plays a large role in backpacking and hiking boots because it helps to lessen the load on the feet and the calves, particularly during an ascent. Flexible lacing reduces pressure on the foot and allows you to make adjustments to the fit. 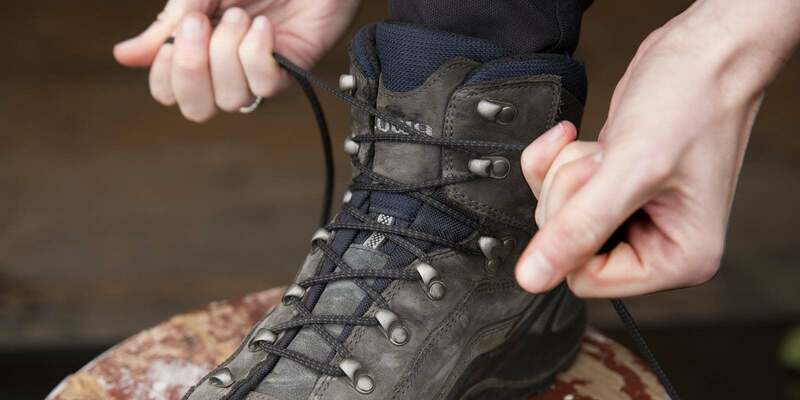 With the lace lock system, you can tightly lace your boots so that your foot feels secure throughout the entire boot. The tongue contours around the shin to keep debris, sand, and snow out. Note that advanced tongue contouring is a women-specific technology from LOWA. Full wrap-around and toe protection for durability also lessen the impact of things like rocks and roots. 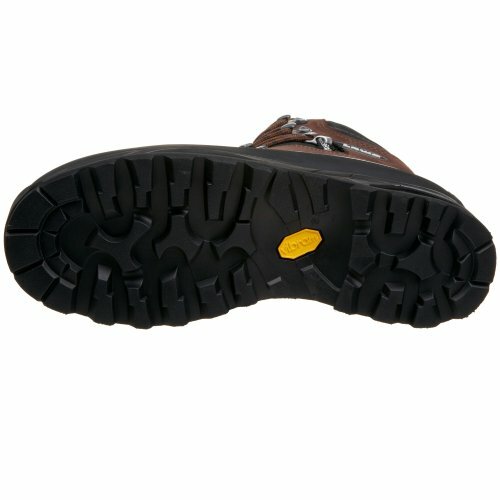 The rand is the piece of rubber that covers the joint that’s located between the upper and sole. The high cut of these boots goes well above the ankle for support and stability, even if you’re carrying a lot of weight. For some wearers, this can rub against the calf and become uncomfortable, particularly if the boot is laced all the way up. To stop this from happening, don’t lace the boot to the very top and see if that makes a difference. Vibram Masai is one of LOWA’s sole technologies that provides great surface grip via the self-cleaning tread, as well as a Climbing Zone located on the tip of the sole. An undercut heel will narrow a little bit as it reaches down toward the ground. Undercut heels are best for walking shoes because they provide a better landing than a flared heel does (flared heels are found in trail running shoes, for example). The lug pattern on the outsole is part of what helps you move along a trail and through the dirt. The deeper the lugs are, the better the boot’s traction will be, helping you stop when needed, like if you feel like you might slip. While the water-resistant upper will keep your feet dry in light rain or when crossing a stream, it’s always a good idea to add a waterproof treatment to extend the life of your boots. That said, they should dry out in about one day even when soaked. These boots come in various widths and run true to size if you use the LOWA sizing chart to measure your feet. Though LOWA’s website has a very basic size chart, the one found on this website is much more useful. These shoes are also designed with a small buffer so that the insole will be slightly longer than the measurement in order to save your toes from banging against the front of the boot. Note that these boots are best for medium or high volume feet. Wearers with skinny feet may feel “hot spots” in the forefoot (the front part of the foot); they’re also not a great option for people with a narrow heel. Note that a hot spot is an area on your foot that feels like it may develop a blister. If you don’t have narrow feet but still can’t seem to get your heel to stay in place, consider a heel lock tying technique. Some users find it difficult to add an insole to these boots for extra support. You may have luck with a thin or low volume insole as opposed to a medium volume insole. 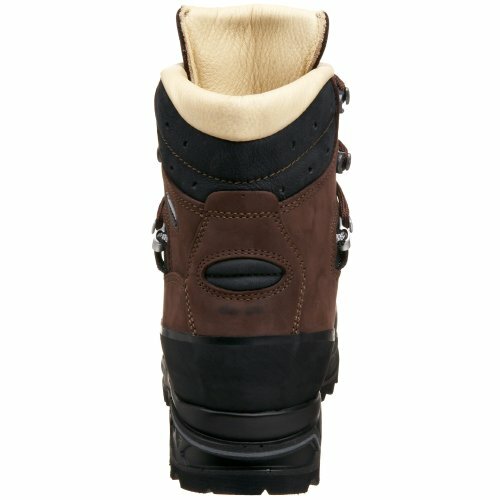 These boots do have a break-in period due to the highly supportive nubuck leather. Allow approximately six days to one week of daily use to break these boots in. Though they do have some water-resistance qualities and can work with crampons, these boots alone are intended for rugged, warm weather hiking. They’re also used to by fire crews, though you’ll want to add a fire leather preservative to both the interior and exterior leather. In order to maintain the boot’s leather and to prevent the boot from absorbing water in the upper, it’s best to apply a leather conditioner or a wax paste as a waterproofing treatment. You should also apply to waterproof to both the inside and outside of the boot. Some wearers have gotten even more years out of their boots by having them professionally re-soled by a quality shoe repair shop. Opt for a water-based waterproofing treatment; an oil-based treatment can be too abrasive on the rands, making the boots hard to re-sole. No matter how great a pair of boots seems, it’s impossible to know if they’re truly right for you without trying them on. It’s important to try hiking boots on before you buy them, whenever possible. Try to find them in a store even if you’re going to end up ordering them online. Or, if you can only order the boots online, find out what the return policy is so that you can definitely get a refund if they don’t end up being the right fit. When trying on boots, wait until the end of the day, which is when your foot will be a little more swollen than at the beginning of the day. If you try the boots on at the start of the day, they could become uncomfortable as the day goes on. Also, make sure to wear hiking socks when trying on your boots – if you wear regular socks, you won’t get a good idea of fit because there’ll be too much space between the thin sock and your boot. You should be able to wiggle your toes in the toe box – you don’t want your toes too close to the front, or else they’ll hit the front of your boots every time you take a step, especially when going downhill. The boot should be snug around the bottom of your foot and keep your heel in place – your heel shouldn’t lift up and rub against the back of the boot when you step. While you don’t want to keep a pair of boots that don’t fit, don’t immediately nix them the second you put them on. 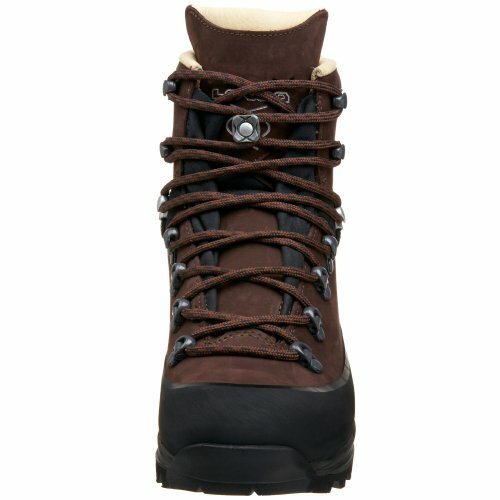 Adding insoles or adjusting your lacing technique could solve the problem and leave you with a pair of boots you end up loving. Overall, theLOWA Baffin Pro and the LOWA Baffin Pro LL II boots are reliable, sturdy and absolutely heavy duty enough to support long, difficult hikes while carrying a heavy pack. With the proper care and maintenance – and maybe some pre-treatment before heading out – they’re bound to last you for years to come. Lowa Tibet GTX Review – Can This Hiking Boot Deliver on the Trail?